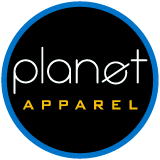 Planet Apparel offers finishing touches for clothing lines and apparel. Make it your brand! Fold and Bag, Screen Printed Neck Labels, and Sew In Neck Labels.